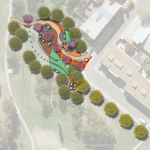 The proposed natural play space seeks to provide the community with a unique open space and help users learn about the value and function of nature.Indesco provided pro bono landscape design and community consultation services for a new playground on behalf of the Waramanga Residents Association and the Weston Creek Community Council. 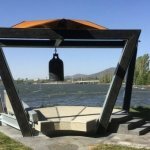 Indesco provided pro bono design services for the structural and civil design of the World Peace Bell Pavilion at Nara Park. Our team worked closely with local architects, contractors and planners to deliver this great project. The project represents an expression of goodwill and peace between the people of Canberra and the rest of the world. For the last three years Indesco has sponsored 3 children to attend the Kulture Break program over a 12 month period. Established in 2002, Kulture Break provides performing arts and leadership programs to empower and change young lives. 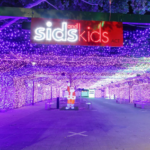 In 2014 and 2015 Indesco provided pro bono structural consultancy services and general advice for the Sids and Kids ACT Christmas light display in Garema Place, Civic. The display was awarded a Guinness World record in 2015 for the number of lights and has become an annual fixture for the Sids and Kids charity. 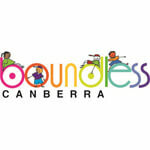 Indesco played a major role in the design of ‘Boundless’ Canberra Centennial National Playground in Kings Park. The playground is accessible to all, and enables children to play side by side regardless of age or ability. Indesco Landscape Architects designed the overall master plan and detailed playground areas. Indesco Civil Engineers provided the civil design to the project. Indesco applied their design skills to the project pro bono in support of the community centenary initiatives. Indesco provided pro bono design services for the structural design of the new special needs school in Queanbeyan. TreeHouse is a not for profit community organisation, staffed and managed by local people, committed to providing early intervention services to children with additional needs and their families. The new facility will deliver a top quality learning environment for kids that need specialised support and is scheduled for completion by mid-2020.